In any case, I did a super-glam mani this week with two colors by Topshop -- Heart of Gold and Starlight. Topshop celebrated its first beauty birthday in May and created a collection of three nail polishes (the third one was called Moonshine). I'm totally loving the shimmery goodness of both the gold and the silver -- plus they're weighty and substantial hues but applied like a dream. 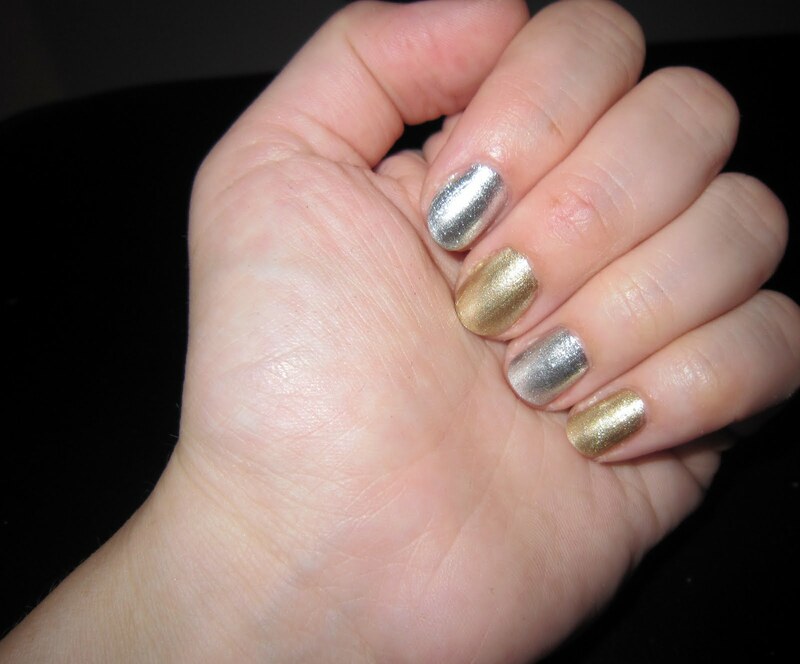 Plus, I'm digging that the super shininess of these colors makes them look like Minx, especially in the sunlight! Zoya Luna is on my nails. Am extreme glitter silver! Love it.